And my answers to every question you've ever had about the process. I don&apos;t think it fully occurred to me that I was getting a face tattoo until the technician, Linda, began talking me through ink color options. She explained that she was going to use a very thin pen to draw hair-thin lines with semi-permanent ink along my brow. The process, called microblading, was supposed to create the illusion that they&apos;re fuller. Meanwhile, I silently flipped back-and-forth between, "It&apos;s no big deal!" and "Ohmygod face tattoo. Let me repeat that: FACE TATTOO." 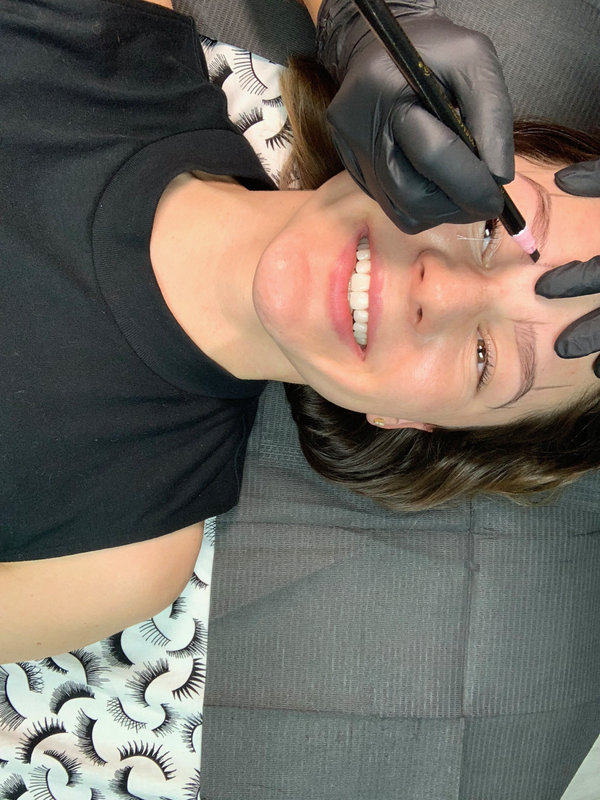 Technically speaking, microblading is a face tattoo, but one that only lasts six months to a year (though one reader told me hers is going on four years!). Unlike a regular tattoo, a trained esthetician uses a super-fine pen that deposits pigment into the skin, a few layers shallower than a conventional tattoo. It&apos;s like a brow pencil. A brow pencil that, you know, doesn&apos;t wash off. I&apos;ve been considering getting my eyebrows microbladed for about a year. 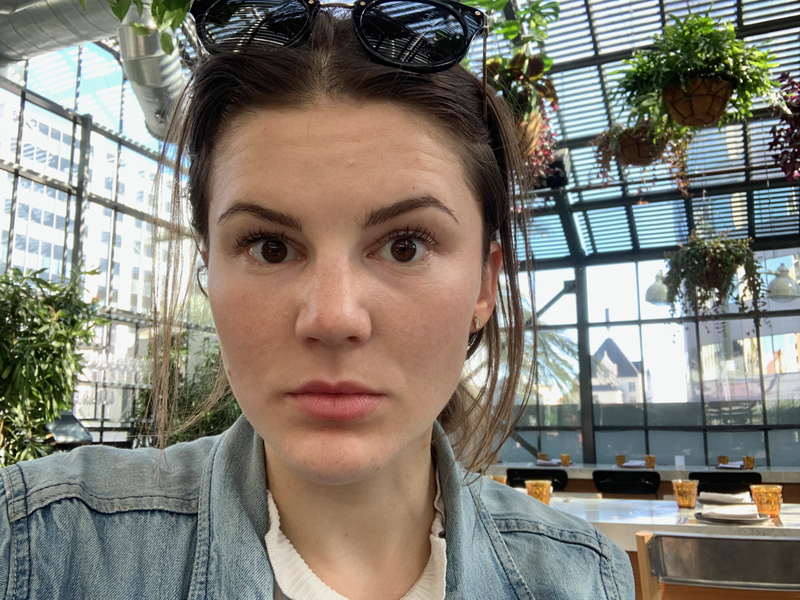 My brows, like the rest of my hair is extremely fine, and require a frustrating amount of upkeep (particularly for someone who often prefers to forgo makeup altogether). 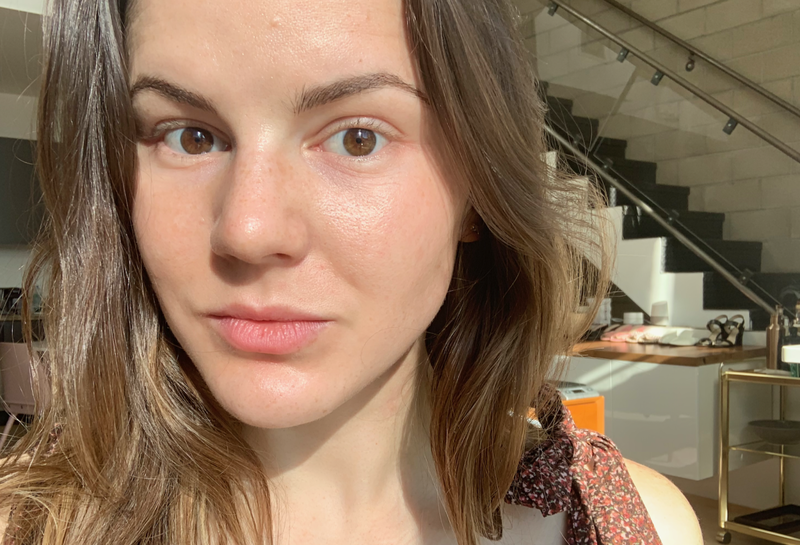 To achieve the "natural" Cara Delevingne look of my dreams, I get them dyed each month, then fill them in most mornings with a pencil and gel (here&apos;s what they look like sans dying and makeup). The idea of having them (semi)permanently done sounded as appealing as a face tattoo sounded terrifying. Plus, I love a "natural" look—what if I walked out of there looking more Kim than Cara? 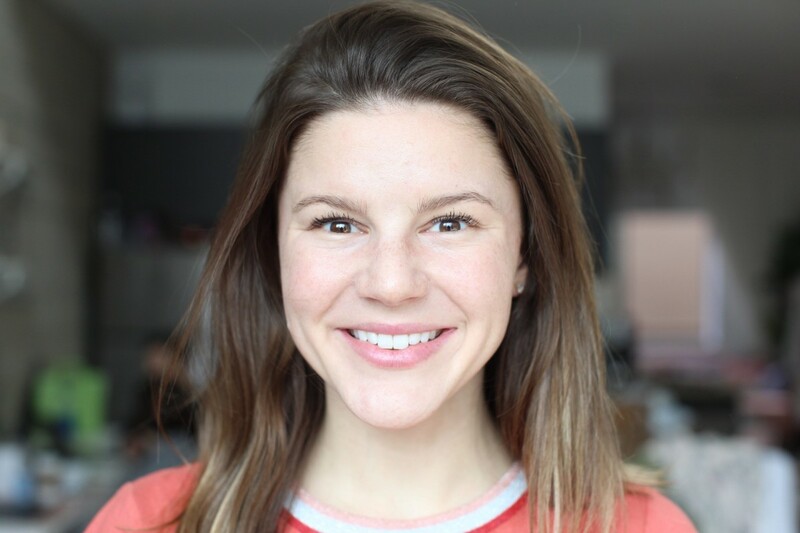 After months of debating, and even cancelling one appointment, I finally took the plunge when I spoke to the founder of The Little Market, Hannah Skvarla, at our co-hosted December event. 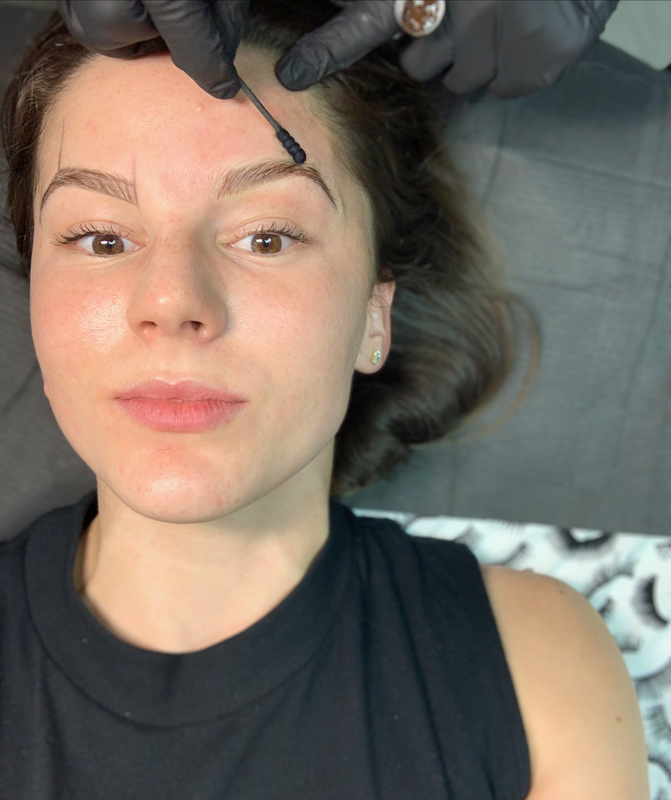 Her brows looked so fantastic, I had to compliment her on them—and she was quick to tell me they were tattoos (I was shocked, since they looked so natural!) then text me Linda Myers&apos;s number. 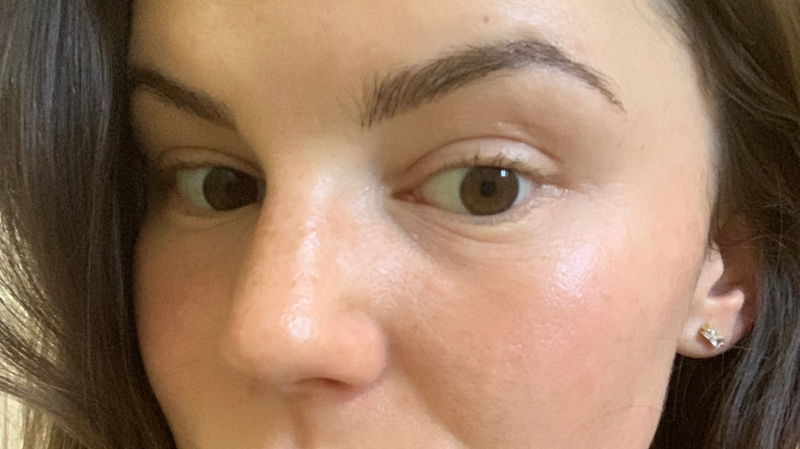 *Note: This is a really long article—but when I was looking up articles on microblading, I had trouble finding answers to a lot of my questions, so I included every question I received on Instagram in the hopes that this serves as a complete and honest guide to anyone considering microblading. Are you supposed to go in with shaped brows already? Or grow them out and they shape/wax/tweeze them before they tattoo the ink? I was told to come in with my brows filled-in as I normally do, so Linda could see how I do my makeup and the look I&apos;m going for. However, I didn&apos;t come in with them shaped. Previous to microblading, I got my brows shaped and tinted every month (I have really light brows), but didn&apos;t get them done for about two months leading up so Linda could see their actual color, and shape them accordingly. When I fell from heaven? (Sorry, had to.) I have a high pain tolerance—I had no problem getting my bikini lasered, which I&apos;ve heard other people can&apos;t stand—so when Linda put numbing ointment on me for twenty minutes before making a single cut, I could barely feel it. It was uncomfortable, but never intolerable. She frequently checked in to see how I was doing and reapplied ointment throughout. On average, it was a 2 out of 10, and only went up to a 4. It took about two hours! Which wasn&apos;t bad—I just went kind of Zen after a while and chatted with Linda—but it&apos;s also two hours of discomfort, so keep that in mind, and maybe treat yourself to lunch afterwards (which is what I did). Microblading generally costs anywhere from $700 to $2000. When I went, Linda charged $900, including the touchup. How did you chose your esthetician? Did you talk to her beforehand? 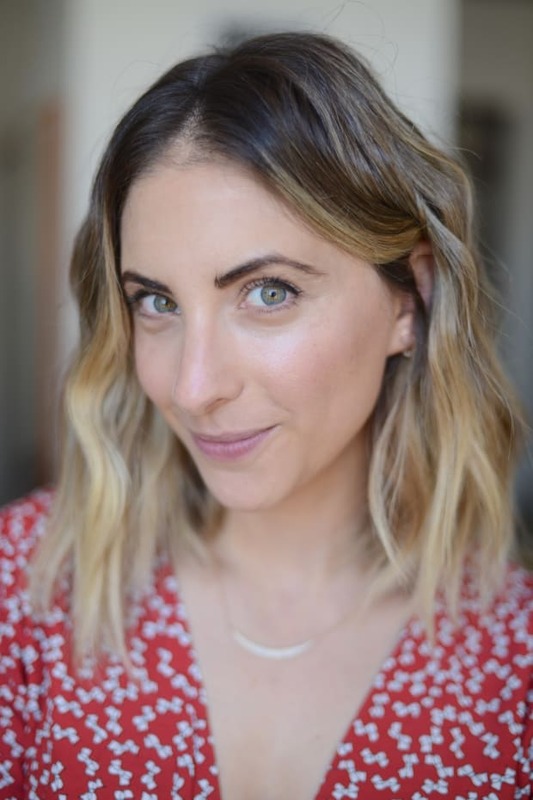 As a rule of thumb, I only see beauty professionals who are personally recommended to me by friends, which is how I found my facialist Adrina and haircutter Melanie at Spoke & Weal (who you may recognize from our Instagram Live with her earlier this year, saved in this Highlight!). So when Hannah recommended Linda so highly, I didn&apos;t do any additional research—and she was fantastic! I definitely recommend going to someone who&apos;s work you&apos;ve seen and loved in person, though finding someone who&apos;s work is highly rated online and documented on Instagram is the next best thing! Did they shave off your real eyebrows? Nope! Still have my brows—the ink goes beneath them. I&apos;m actually surprised at how natural they look, since you can&apos;t see the strokes unless you&apos;re extremely close and looking for them. Is it the same as a tint? A tint is when you dye your actual brow hair, but microblading applies ink beneath your brows. Though you can get your brows tinted once the microblading heals for an even bolder look, which some people do. Are you able to get your brows microbladed if you have oily skin? I don&apos;t personally know the answer to this, since my skin type is "combo," but here&apos;s what Linda said, "I would not recommend people who are extremely oily get it, because the more oil, the more the hair strokes tend to expand thicker and it doesn&apos;t pick up pigment evenly." How do you ensure you get the right shape? Before we started, Linda mapped out an outline of the brow shape she wanted with washable pen (see photo above), following the natural arch of my brows. I appreciated that she didn&apos;t change the arch—they&apos;re uneven in real life, and I wanted to keep that imperfection rather than shaping them to be identical (brows are sisters, not twins!). An important thing to note is: She didn&apos;t go above or below my hair line with any of the strokes, which I think contributes to it looking so natural. I know some people opt to get microblading that makes their brow size bigger, but I wanted my brows to fit in with my preferred no-makeup makeup look. How much input did you give on shaping? Not a lot! I just explained to her that I wanted my natural brows to look like a fuller version of them, and asked that she go "conservative" with the ink, because it&apos;s easier to add later than take away. 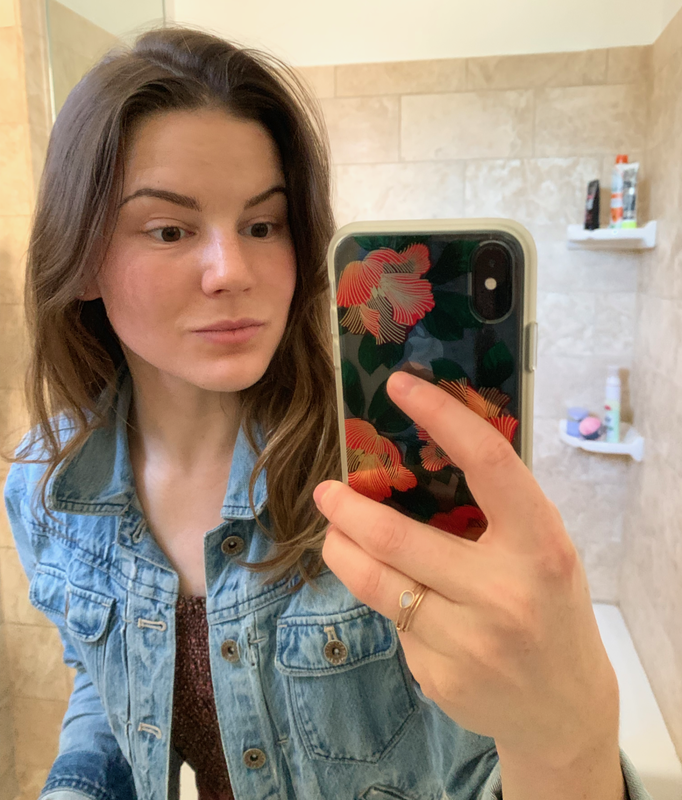 Also, she had me look at a mirror as we went along, to ensure she was achieving the look I wanted (see photo below), which I really appreciated and set my nerves at ease—I highly recommend going to someone who lets you do this! Six months to a year, on average (though one reader told me hers have lasted four years and counting!). Can we see them up close? You bet! I took this photo Wednesday, sans makeup and four days after the procedure. You can see the lines if you look closely (especially at the start of the brow), and they&apos;re darker than they will be once they&apos;re fully done healing. Do you like them so far??? Love!! I&apos;m actually surprised at how much I love them, and hoping they look this good once they&apos;re touched-up. Do you feel like they look "natural"? I really do! Took this photo in the brightest light I could find in our office—I don&apos;t think you&apos;d be able to tell they&apos;re microbladed if you didn&apos;t know. Can we see a pic with RBF? I&apos;ll be able to really see the power of the brows then, lol. Based on my conversations with Linda, the entire healing process takes four to six weeks, depending on your body regeneration and age. Immediately after the procedure, they looked great, but by the next morning they were significantly darker (which many of you warned me about, see photo below). For the next ten days, you have to be especially careful: I was told to stay out of the sun (or wear a hat when I&apos;m in it, so I wore one at my desk, which is by a huge window), avoid getting them "soaking wet" (I&apos;ve been careful to wash my face around my brows, and not put them under water in the shower), and avoid touching them or sleeping on my side. This was the worst part for me, since I&apos;m a side sleeper—I barely slept at all the first three nights, for fear I&apos;d roll onto my side (a reader DM&apos;d me that the ends of her brows got slightly smeared when she slept on her side the first night). Linda also warned me that the skin might scab, and to not pick the scabs off but let them fall off naturally since the pigment is attached to the underside of the scabs (sorry, I know that&apos;s gross). I&apos;m writing this at six days of healing, and can feel some small scabs, which look like tiny flecks of dandruff, but not unless I&apos;m two inches from the mirror. After peeling (which occurs about ten days in), the ink may appear lighter than the original ink, which Linda warned, "might give you the impression the color is fading too quickly" or look uneven. But this is the reason why most technicians recommend that you go back in for a touch-up after six weeks, which I plan on doing as well. Healing is finished, and your brows are set thirty days after the procedure, in general. How do you keep them fully dry in the shower? I held a clean washcloth just above my brow line (like a sweatband) when rinsing my hair. It&apos;s okay if they get a tiny bit damp, but you just don&apos;t want them soaked, since it can cause the scabs to come off before they&apos;re meant to. If they do get damp, or if they bleed (which can also happen the day after, but didn&apos;t happen to me), dab (don&apos;t rub!) them very lightly with a clean cotton pad. 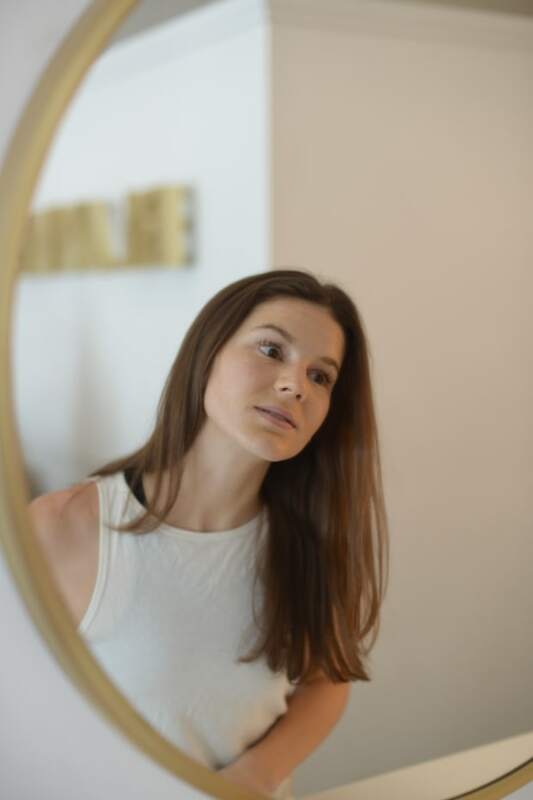 Once completed healed, Linda recommended adding a layer of sunscreen SPF 30 up to SPF 50 on your eyebrows when exposed to the sun (I usually use Kari Gran on my face, but may begin using Supergoop on my brows), since sun can cause the pigment to fade more quickly. Otherwise, just get them shaped as you normally would, and get them re-microbladed once you see the color fading, or simply let it fade back to aux naturale (more on that below). Is the healing process icky? I actually received this question verbatim more than once. Long story short: It can be. 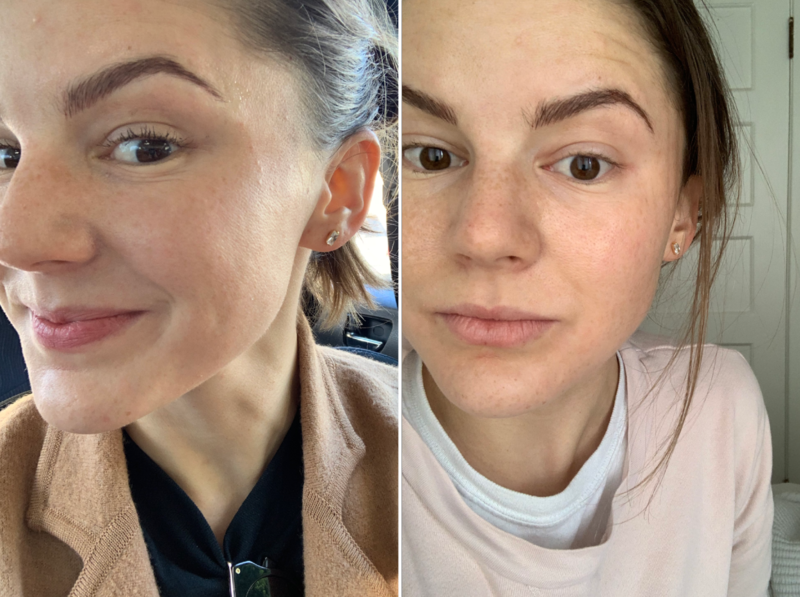 I didn&apos;t know anything about the "healing process" before I&apos;d already had my brows microbladed—which is probably a good thing, because I&apos;ve heard some scary stories since then. A friend of mine told me she&apos;s too afraid to get it done after seeing a colleague&apos;s healing process, since her scabs were so pronounced. I&apos;ve had no problem (so far), but every body is different. 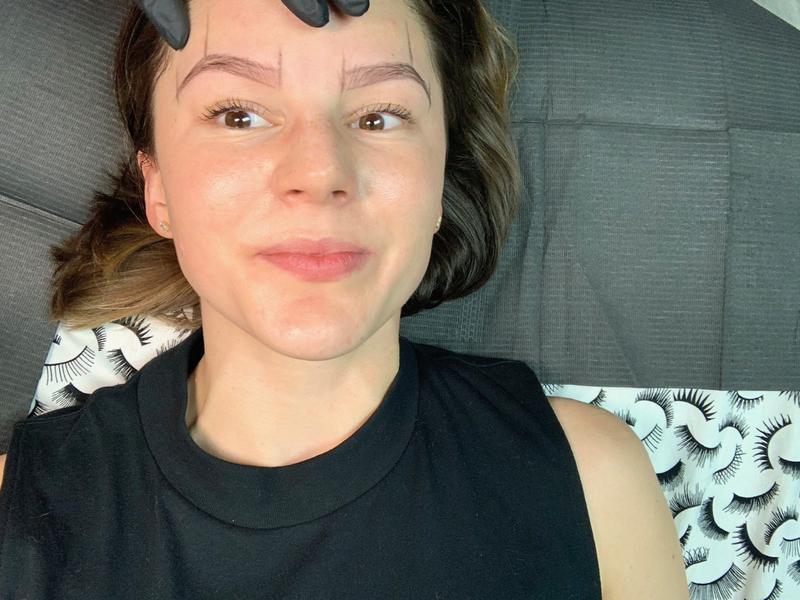 If you&apos;re considering microblading, keep the risks in mind and don&apos;t do it within a few weeks of a big event where you want to look your best. In an ideal world, I wouldn&apos;t have gotten my brows microbladed the week before a big trip but I went into this process a little naive. Luckily they look totally fine! Can you still get your brows waxed/threaded as usual to keep the shape? Yes, but only once they&apos;re fully healed! 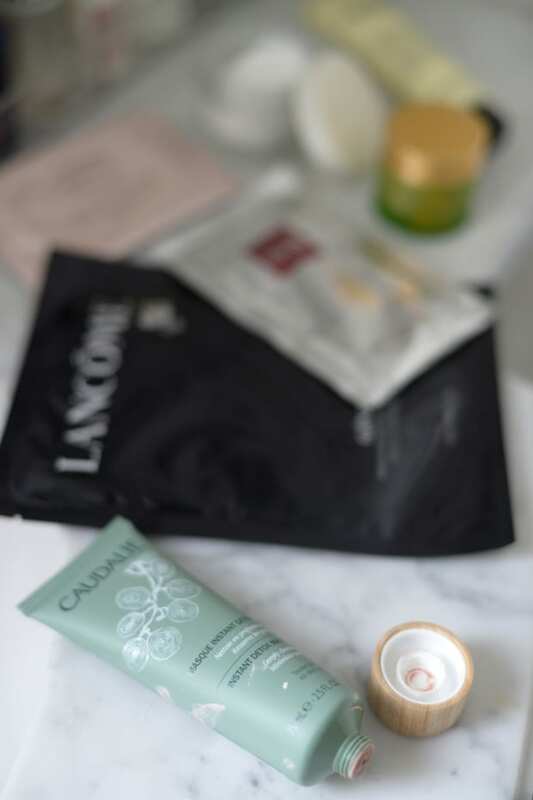 Do you feel balanced, or feel like you need to put more makeup on to balance out the brows? How do you reconcile your minimalist, all-organic beauty routine with tattooing yourself? What&apos;s your worst fear about microblading? Before I had them &apos;bladed, I was concerned the shape would be off (but also trusted the technician). Now, I&apos;m concerned they&apos;ll leave a slight color as they fade. Linda warned me that brown ink can sometimes leave a slight grey tinge before it fully fades away, and a reader told me she had her brows microbladed in black and they left a red tint when they faded, which I&apos;ve also heard sunblock can help prevent (Stay tuned!). Did you get your lashes done too? I have in the past, but recently I&apos;ve been loving ILIA&apos;s &apos;Limitless Lash&apos; mascara so much I haven&apos;t had to! I&apos;m obsessed with the stuff. Is there any "going back" after microblading or is retouching required for brows from now on? If you want to keep the look (which I think I do), you need to get it retouched every six months to a year, but you can also let the ink fade out if you hate it! Sooo... would you recommend it? So far, yes! But it&apos;s also too early to tell. I&apos;m getting them retouched this weekend (a normal part of the process, which I&apos;ll post about that on my Instagram here), so they&apos;ll look slightly more full once I do that. And, there&apos;s still the risk of them fading in a weird way—though I&apos;ll cover the good, bad, and ugly in a few months! But, as I mentioned above, they&apos;ve completely exceeded my expectations so far. Photo taken exactly 20 days after the initial procedure, fully healed but un-touched-up. As you can see, they&apos;re VERY subtle, but I can absolutely notice a difference!